All wristbands from AmazingWristbands.com are made of long-lasting, comfortable, latex-free, and non-allergenic silicone. You can create custom silicone bracelets for Paintball teams with your own message. 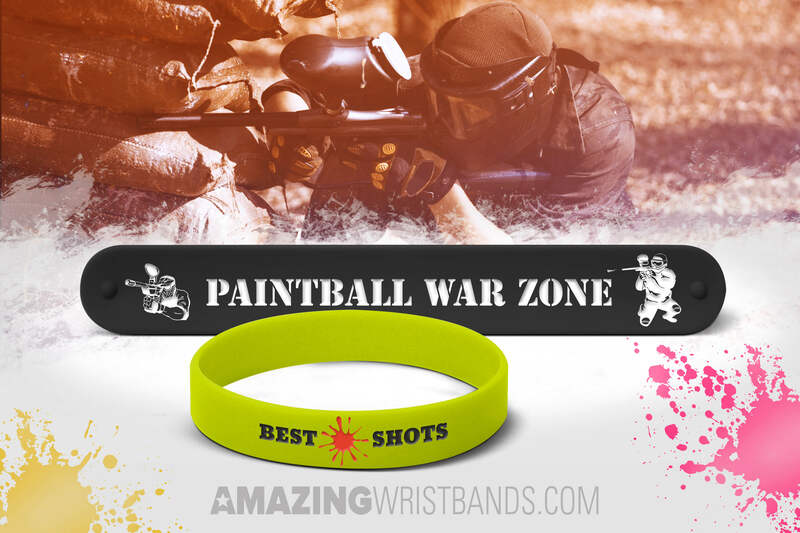 Whether you are promoting your paintball team, a special paintball event or simply want to show your passion for paintball, we can design a custom wristband for you. 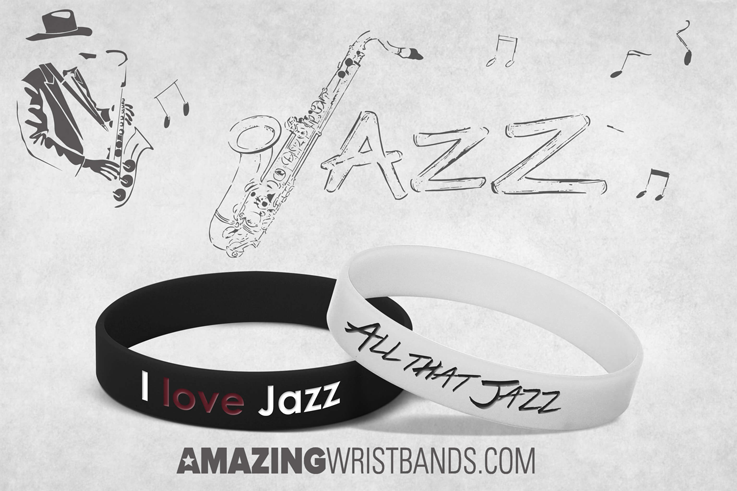 Get Jazzy With Custom Jazz Wristbands! 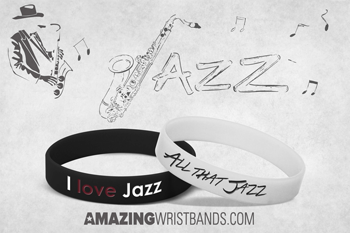 Silicone made Jazz bracelets help you show your passion towards your favorite style. Jazz has been a part of American culture for many years. Originating from America as its own unique style of music, jazz continues to thrive today. Whether freestyle or formal, jazz uses a unique blend of instruments and rhythms to entertain. Some of these instruments include brass instruments such as the trumpet and trombone, and woodwind instruments such as the saxophone and flute. Piano and drums can also be a part of jazz. 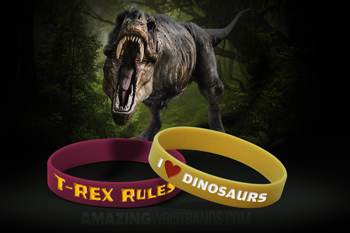 People of All Ages Can Enjoy Dinosaur Wristbands! Custom-made rubber bracelets are perfect to show your love for Dinosaur. According to history.com, the dinosaurs first came into existence about 230 million years ago. At this time, the continents on Earth all formed a super mass, known as Pangaea. In early periods such as the Triassic and Jurassic periods, dinosaurs roamed this huge continent. Many different types of dinosaurs existed, such as the notorious Tyrannosaurus Rex, the Triceratops, the Diplodocus, the Stegosaurus, the Pterodactyl, the Velociraptor, and many, many more. Some were carnivorous and had rows of razor sharp teeth lined up inside their mouths. Others were herbivores and only preyed on plants. These creatures, although real once upon a time, are popular today in film, the toy industry, and exhibits where dinosaur fossils can be viewed.